Happy Tuesday! Comin' at ya with a quick post today because this weekend was crazy busy in the best way! My mom surprised me and came in town on Saturday morning so we spent the weekend together. Thanks to my mom and Kyle for putting this surprise together for me!! My mom also surprised me with tickets to see P!nk! Oh my gosh I am tired today but it was so worth it. If you ever have a chance to see her in concert take the opportunity to go. She put on one of the best shows I've seen! Anyways, I wore this outfit running errands over the weekend and wanted to share it with you all. 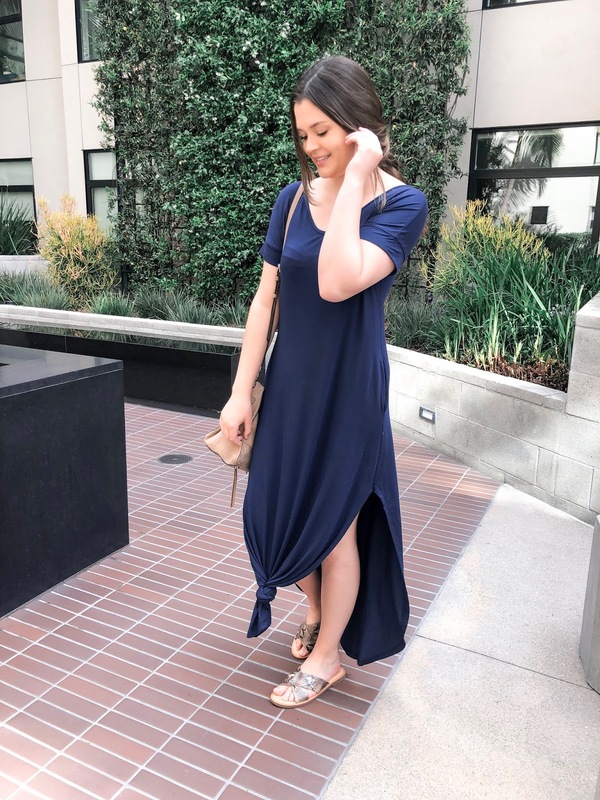 An easy dress is perfect to slip on when you want to look cute but also comfy. Best part is the dress and sandals are under $25! Yep you read that right! Amazon clothes for the win. I went with an XS in the dress (I'm 5' 4' btw) and a 7 in the shoes which is my regular size. Here I am saying this will be a quick post and I could keep writing and writing! Hope you all have had a great start to the week!